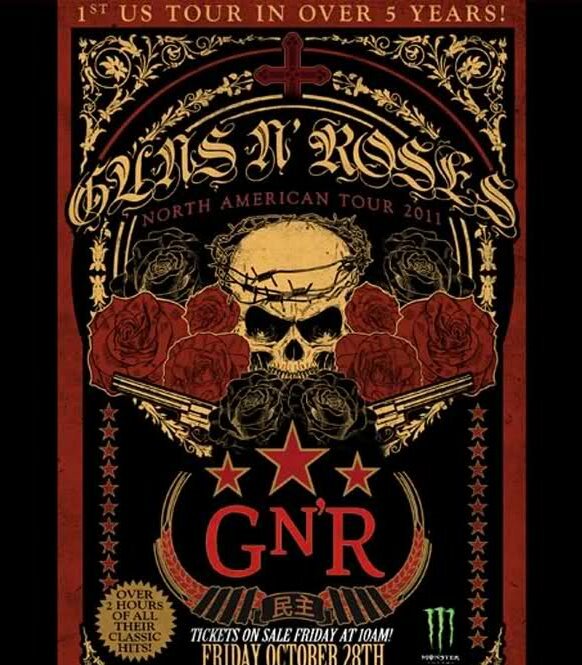 GN'R will embark on its first US tour in five years this fall. The trek will kick off October 28 in Orlando, Florida and will include stops in 30 cities — fueled by Monster Energy — from October to New Year's Eve. 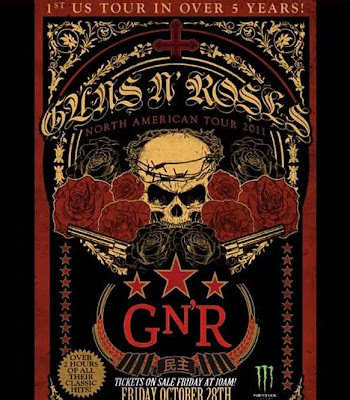 Before hitting the States, GN'R will tour Latin America, starting with a sold-out, headline slot for the closing day of the Rock In Rio festival in Rio de Janeiro, Brazil on October 2 in front of 75,000 fans. More dates, cities and venue information to be announced very soon.